With the Christmas and the holiday season in full swing, you won’t find much snow, but you will find everything else you need to get you into the holiday spirit in Palm Springs, CA. Averaging 350 sunny days a year, Palm Springs weather makes it hard for even the biggest Scrooge to say Bah Humbug! Most people think of snow blanketing the ground during the holiday season, but for us SoCal residents, what we lack in snow we make up for in spirit. 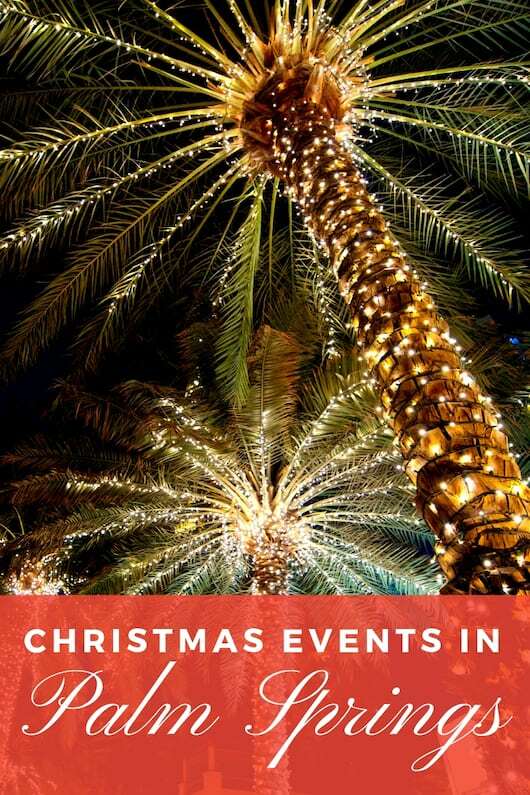 Here are the best family holiday and Palm Springs Christmas events to enjoy with kids! Updated for the 2018 Season. The Living Desert Zoo & Botanical Garden is a magical place. I have had the pleasure of experiencing this wonderful zoo both during the day and during the WildLights Holiday Festival. With over 750,000 twinkling lights illuminating the park after dark, this desert Christmas tradition will definitely get you and your family in the holiday spirit. If a light spectacular isn’t enough, this event also boasts crafts for the kids, Wildlife Wonder Shows, carousel rides, and camel rides. No that isn’t a typo, they have camel rides that take you on a wild trip around the arena. Luckily, my brave 4-year-old got this cautious mom to ride with her. 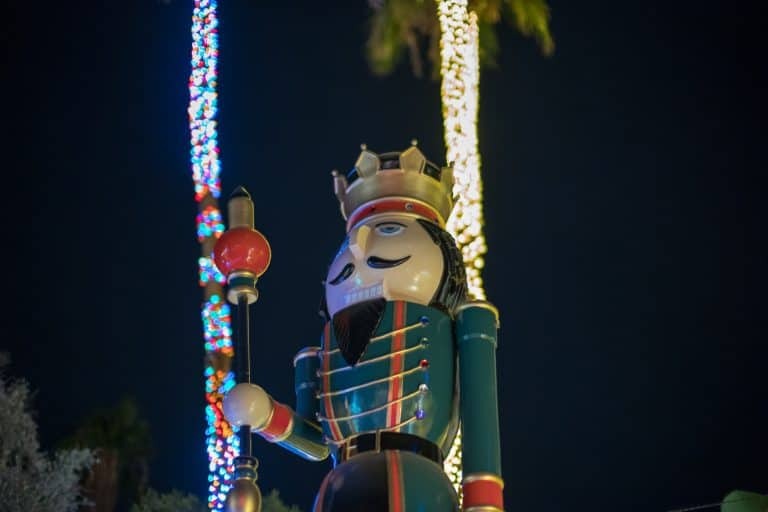 This is sure to be one of the more memorable Palm Springs Christmas events for your children! 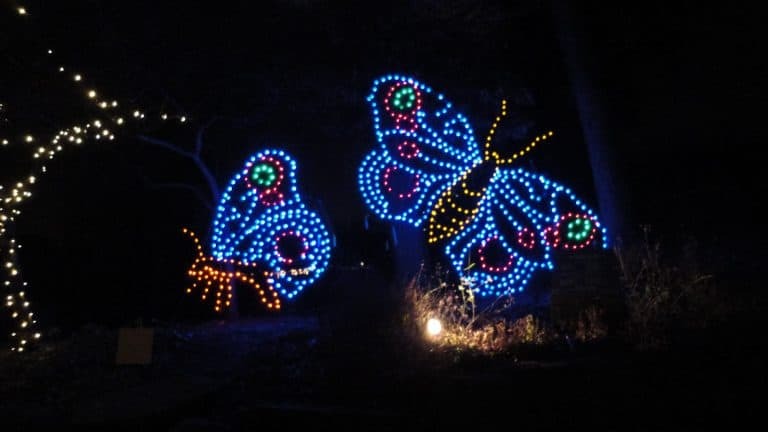 The WildLights Holiday Festival begins Nov. 23, 2018, and runs selected nights through Dec. 24, 2018, from 6-9pm. 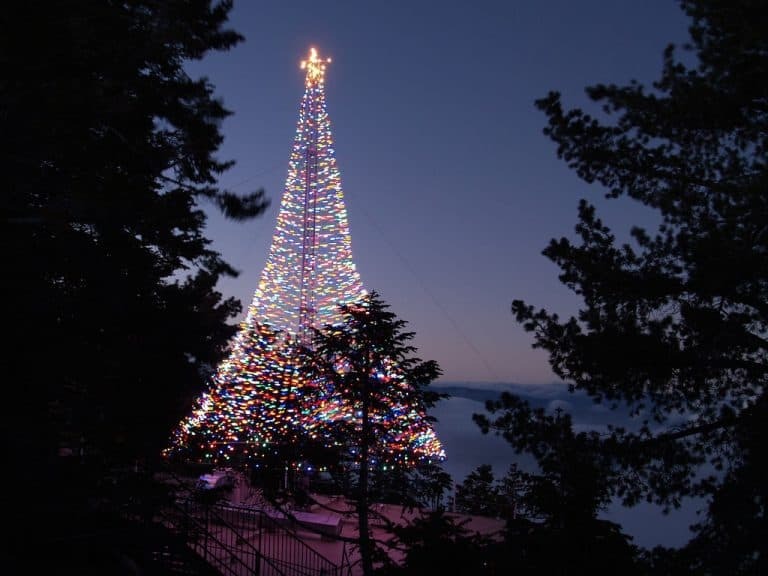 Head up the mountain and get into the holiday spirit at the Palm Springs Aerial Tramway annual Tree Lighting. Join the festivities on Dec 1, 2018. The fun begins at 5:30 pm as a celebrity tree lighter flips the switch and brightens up the Coachella Valley sky. Enjoy carols being sung at the mountain station by local choirs on the weekend evenings leading up to Christmas. 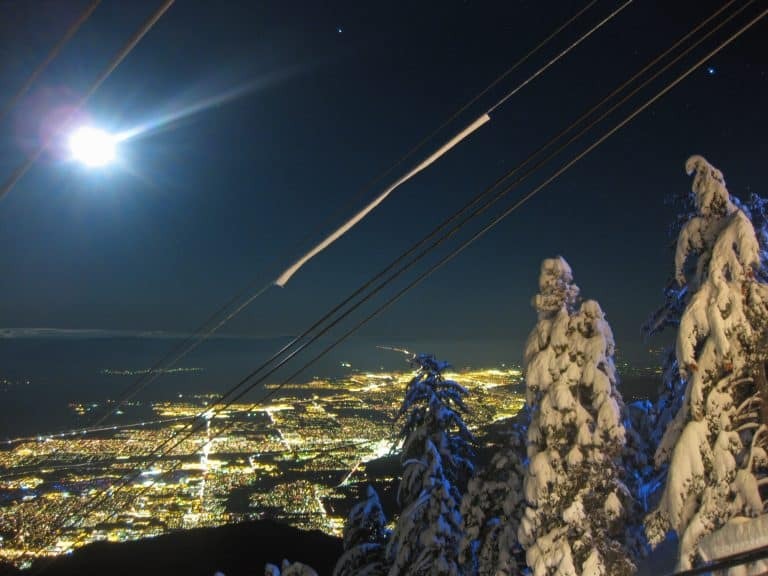 If its snow you are looking for, the top of the Tramway is where you will find it. Snow may be elusive here in Palm Springs, but it’s not out of the question. In fact, there’s even an annual snow guessing contest! When the snow does fall, make a trip up the mountain. Due to the elevation, you can enjoy cross-country skiing, snowshoeing, or a good old-fashioned snowball fight all in one place! Whether you visit or not, take place in the snow prediction contest and send in your guess for a chance to win free tickets on the Aerial Tram to enjoy this fun Palm Springs Christmas event. Check the best deals on Family Friendly Hotels in Palm Springs. Coming from out of town? The Palm Springs area boasts quite a few great resorts that feature family-friendly holiday fun throughout the season. The Miramonte Resort and Spa is the perfect complement to your holiday vacation and a place to experience several Palm Springs Christmas events. On our quest to find some holiday cheer in the desert, my daughter and I found more than we had expected. We roasted chestnuts, toasted s’mores, decorated cookies, made a craft, wrote a letter to Santa, and Mrs. Claus read books. When there wasn’t an activity going on, we spent time in the game room which is suitable for infants to adults. 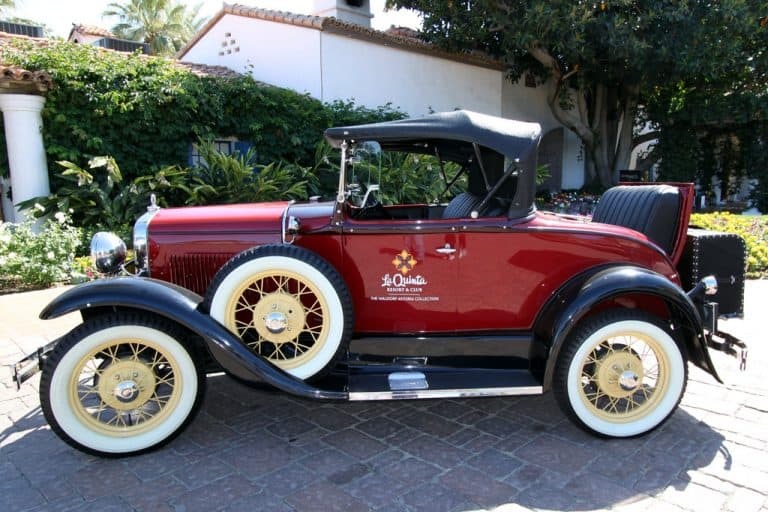 In neighboring La Quinta, be sure to book a stay the uber-luxe La Quinta Resort and Club. In addition to fine lodging, La Quinta offers outdoor fire pits, nostalgic Christmas decorations, chestnut roasting, kid-friendly crafts, breakfast with Santa, and family activities. Families will enjoy activities such as fudge-making classes and more, all offered daily at the resort. You won’t miss their 50-foot white fir Christmas tree on the main plaza; beautifully lit, this tree serves as the centerpiece for the surprisingly festive environment. Every Friday, guests can watch an outdoor screening of “It’s a Wonderful Life,” the iconic film by Frank Capra who spent a great deal of time at the resort. 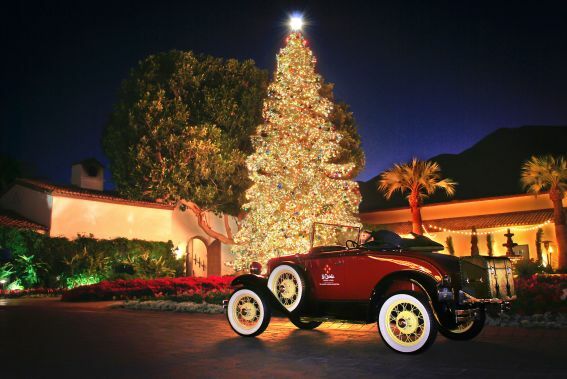 The JW Marriott Desert Springs Resort & Spa is hosting some holiday fun this season! Most notably, there will be a life-size gingerbread house inspired by the Coachella Valley. Join your family on a holiday dressed Gondola Sleigh Ride driven by an Elf – sail through the Venetian-inspired canals! A stay at the AAA Four-Diamond resort also includes festive holiday decorations, seasonal menus, pools, golf, and tennis courts. 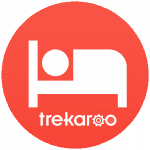 Check for availability of Family Friendly Hotels in Palm Springs. I figured 80,000 people lining Palm Canyon Drive in downtown Palm Springs couldn’t be wrong. I had to find out for myself why people kept coming back to see this Festival of Lights Parade. With over 20 miles of lights, marching bands, performing groups, local businesses, civic service men and women, and of course, Santa and Mrs. Claus! Needless to say, this parade demonstrated that the people of Palm Springs know how to get their holiday groove on! Our favorite part of the parade was the incredible marching bands from the local schools. The beat of the drums made the Christmas spirit come alive. Join the fun on Saturday, Dec. 1, 2018, at 5:45 pm with a Celebrity Grand Marshal in downtown Palm Springs. Take a self-guided walking tour of Palm Springs’ unique boutique hotels and historic inns, and see why this is an event not to be missed. Explore the city’s historic and mid-century modern gems decked out for the holidays. The Walk of Inns is a free holiday event; it is also a toy drive to benefit Well in the Desert. Please consider bringing an unwrapped toy. The annual Inn Walk will be held the second Thursday of December. 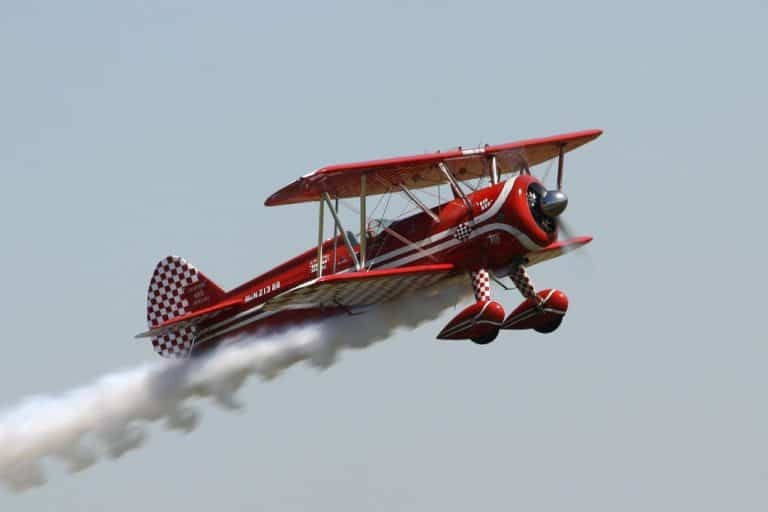 Surprisingly, Santa has ditched his sleigh and his reindeer for a Stearman Biplane. Landing at 1:00pm December 8, 2018, Santa will bring his big bag of goodies to share with all the good little boys and girls to the Palm Springs Air Museum. Don’t forget your camera as you won’t want to miss this unique Santa visit plus enjoy playing in the children’s winter play area. The Food Network recently ranked the Indio International Tamale Festival in the top 10 “All American Food Festivals” in the nation! With plenty of family activities, the Tamale Festival is delicious and fun! Dec 1 & 2, 2018. Admission is free. Special thanks to Sisily Calvert who wrote the original version of this article. Disclosure: A joyful thanks to the Palm Springs Visitors Center who helped arrange a wonderful holiday visit for Sisily and her family to Palm Springs. Thanks also to the Miramonte Resort and Spa in Indian Wells for hosting Sisily and her family so that she could share her experience. She was not asked by anyone mentioned in this article to share a particular point of view and all opinions are her own. What time is the concert where the Marilyn Monroe statue is tonight? when I returned to CA for a visit in February from Minnesota – I thought the weather was great and wanted to be outside. Many of the people there were in sweats and jackets – but to go from 10 degree’s to 50 or 60 degree’s, I thought it was warm and beautiful. You forgot that the Palm. Springs Woman’s Club is one of the starting points for the Inn Walk this year and will be having our annual Bake Sale with the addition of a Craft/vendor area to purchase holiday gifts with free gift wrap and bag check. We will be serving warm holiday cheer and holding a raffle for great prizes. Come by for some holiday fun on December 12th from. 4:00 – 8:00 p.m. And pick up your Inn Walk map and glow necklace! Don’t forget to bring a toy for the holiday toy drive!